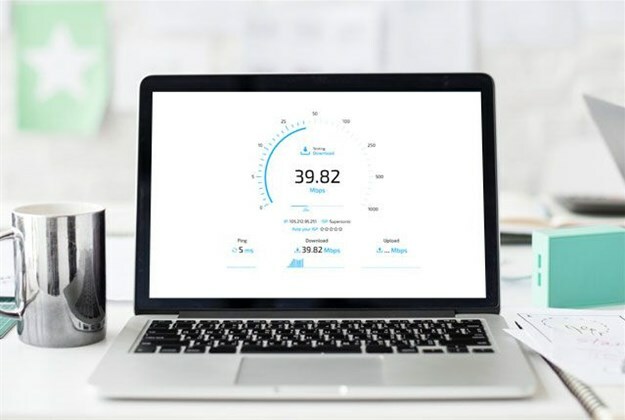 The recently launched Speedtest.co.za website makes it easy for South Africans to test their broadband speed and rate their Internet service provider. The Speedtest.co.za service is powered by MyBroadband with servers at NAPAfrica’s Internet peering points in Johannesburg and Cape Town to provide a vendor-neutral testing environment. These servers are connected via a 10Gbps link to NAPAfrica to ensure there is ample capacity for accurate speeds of even the fastest broadband connections. The Speedtest.co.za platform has a clean interface and was built to work on desktops, tablets, and smartphones. Users can also rate their Internet service provider, share their results on social media, and use the platform to request a fibre upgrade. What sets the Speedtest.co.za service apart from other online speed tests is that it provides an objective Internet speed measurement because of its neutral testing environment. Most other speed test are hosted on-net by ISPs and telecoms operators to provide the best possible results when their subscribers perform a test. These speed tests are therefore not done to a central testing location, ensuring an equal playing field for all service providers. MyBroadband does not allow on-net speed test servers and all tests are conducted to an Internet exchange which provides a true reflection of real Internet speeds. To test the performance of your Internet connection, visit: Internet Speed Test.